Since 2001, Physician Billers has provided customer-care oriented, full-service billing and Accounts Receivable Management services to medical practices nationwide. Physician Billers is unique in which it is considered a partner to all its clients. Being a partner, Physician Billers cares about its clients' needs for financial stability and it shows through its diligence in every aspect of the medical billing cycle from claim submission to dispute resolution to collection. Most of Physician Billers' clients have stayed with us not because of onerous escape clauses in our contracts but because of our loyalty to each and every client and their needs for freedom from dealing with the complex nature of processing medical claims, resolving disputed claims and reimbursement amounts, calls from patients, following up on unpaid claims, and collections. Our clients reap greatly from benefits of partnering with Physician Billers, and that is The Physician Billers DIfference you will want to experience as well. Physician Billers is a professional medical billing company that offers comprehensive medical billing services for doctors and practitioners nationwide. Physician Billers is committed to conducting business in a effective and professional manner by helping our medical clients eliminate revenue difficulties associated with insurance claims. Physician Billers provides customer-care oriented, full-service billing and Accounts Receivable Management services to medical practices nationwide. 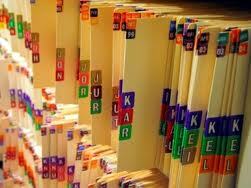 Our specialized services are focused on one goal - maximizing medical provider reimbursement. Physician Billers incorporates the latest technologies in providing services which are integral and of tangible value to medical providers. Our clients range in size from solo-practitioners to larger clinic-based group practices. Unlike some companies claiming they are the best for all practices, Physician Billers considers each medical practice an unique factor in which both parties must be a good match for each other to create a successful working relationship. The relationship is a key to successful outcomes in all aspects of billing services including operational procedures, customer support and infrastructure support.There are many things to consider and we suggest making sure that the company you choose matches your practice's needs. Physician Billers, Inc. is affiliated with American Health Information Management Association (AHIMA), a health information management professional association. 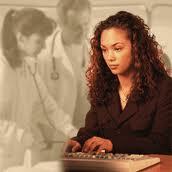 Physician Billers employs coding specialists certified (CCS-P) by AHIMA. Our mission is to provide the most advanced and complete billing services which maximize practice revenue, manage denied claims and reimbursements, and maintain patient relations. Our vision is to provide high quality billing management services, resulting in a long term business partnership with our medical practice clients. © 2010 Physician Billers, Inc. All rights reserved.